Whenever we pay our visit to Genting Highland, we will stopped by at Gohtong Jaya to have lunch or dinner first before heading to Genting. 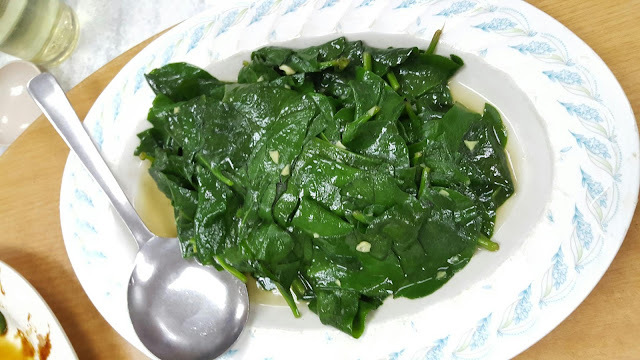 After we tried few restaurants there, Restaurant Ze Yuan is our first choice whenever we visit Gohtong Jaya for it's delicious dishes and reasonable price charged. Recently, we a group of 10 people visited Genting to have Starbucks and cold air breeze. Unexceptionally we headed to Restaurant Ze Yuan to have our dinner first. We ordered their famous Salted Egg Squid, White Beard Fish in Hot Pot, Crispy Fried Pork Belly, Claypot Tofu, Stir Fry Vege and Hokkien Mee. We were happy with the short waiting time to serve dishes since all of us were starving! 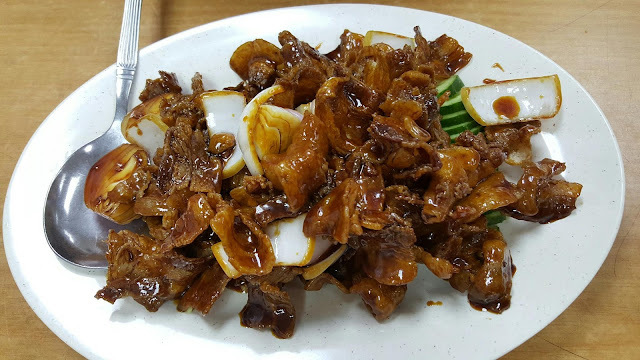 Salted Egg Squid Tentacles (Big Portion) (RM 30). The dishes that we never skipped to order whenever we visited this restaurant. 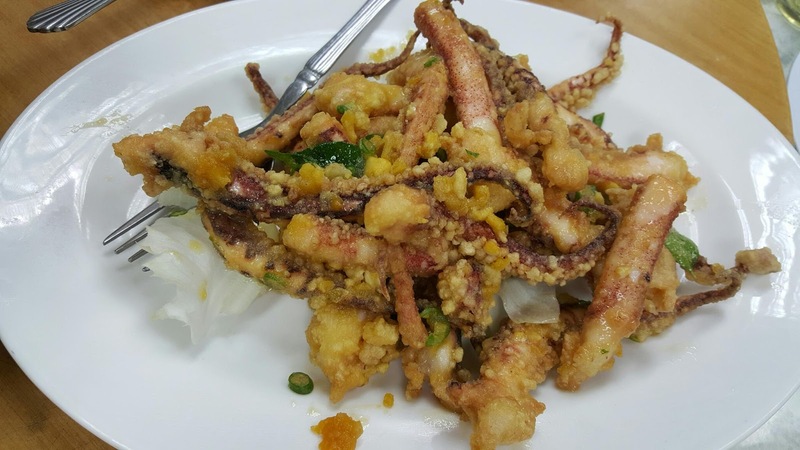 Fresh, chewy big size squid tentacles coated with very moreish salted egg. Thumb up! 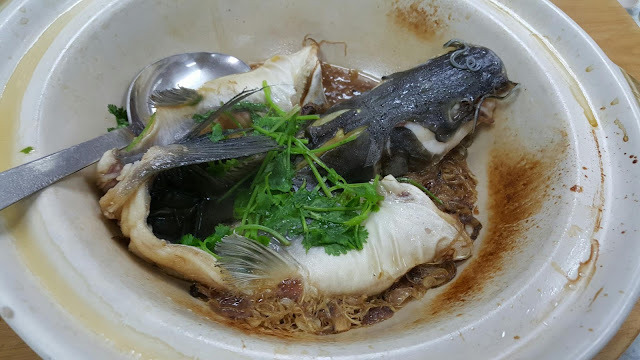 White Beard Fish in Hot Pot (RM 45). Fish was fresh and cooked with soy sauce and ginger in the hot pot. Personally thought that this dish has nothing to shout about, although it's aromatic. Crispy Fried Pork Belly (Big Portion) (RM 26). Crispy Fried Pork Belly is origin from one of the restaurant at Gohtong Jaya. Crispy, sweet and salty thinly sliced pork belly coated with caramelized Marmite sauce. Addictive plate of dish! 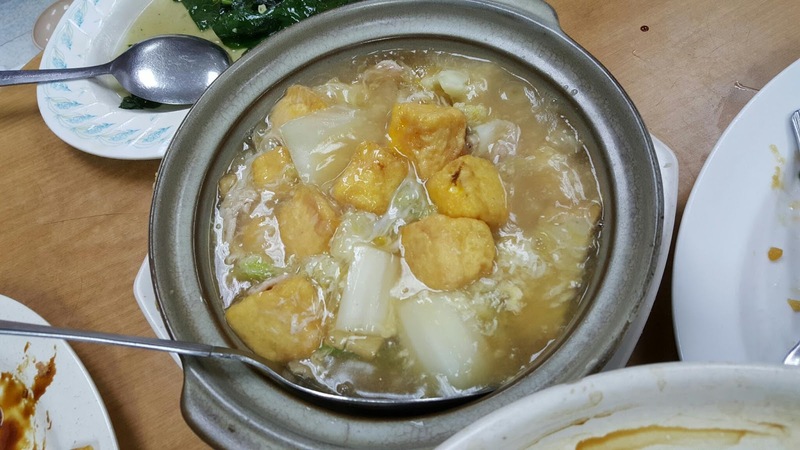 Claypot Tofu (RM 12). This is another dish I never skipped to order! Their homemade tofu was so tender and delicious! Stirfry Tian Qi Vege (RM 12). Fresh vege cooked with chopped garlic. Delicious! 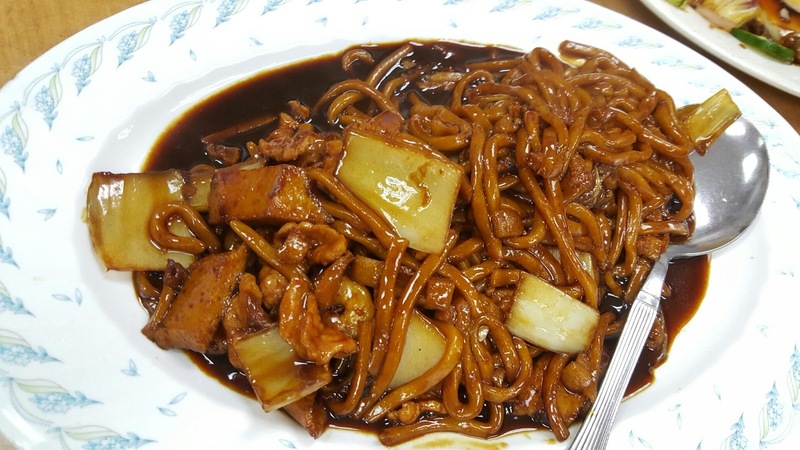 Hokkien Mee (2 px) (RM 13). Wet style hokkien mee, Taste wise. Total bill came to around RM 160 including 8 white rice and Chinese tea. Kinda reasonable priced I would say. You may skip from ordering fishes for budget wise. No.33, Jalan Jati 1, Gohtong Jaya, 69000, Genting Highland, Pahang, Malaysia.